This morning Concordville participated in two events for Garnet Valley Schools. 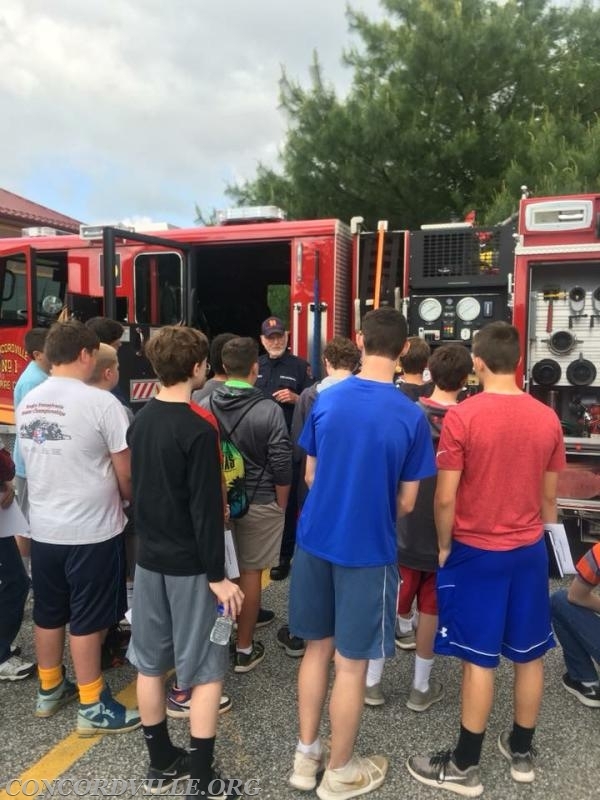 Engine 592 attended a career day at the Middle School and spoke to the students about the careers that go into designing fire apparatus, sprinkler systems, fire investigators and bring a firefighter. 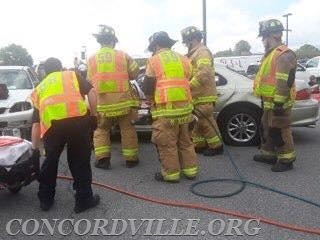 Rescue, Ambulance, MICU, Utility and Command 59 participated in the annual SADD mock accident at the High School. The senior class was shown a demonstration of what happens at a motor vehicle accident; this accident was caused by drinking and driving and results in two fatalities. The speaker also warned the students of the dangers of texting and driving. 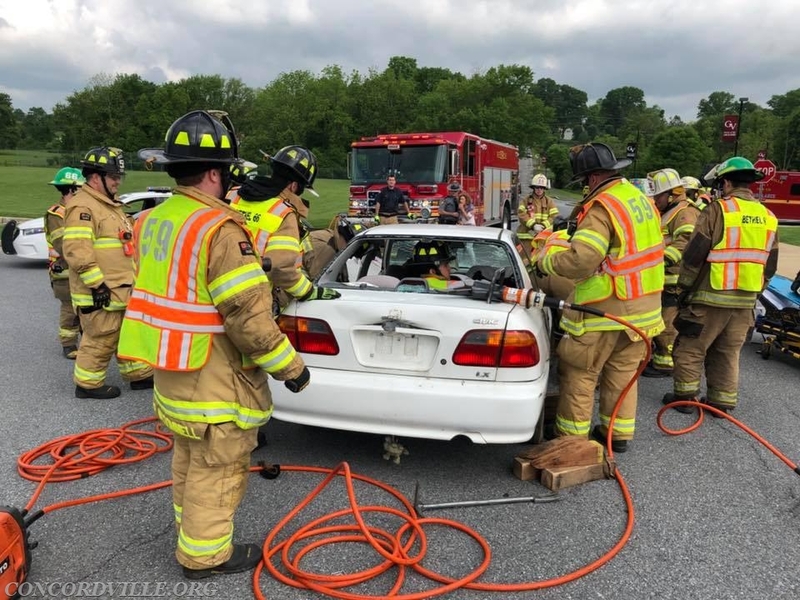 Assisting with the mock accident were Bethel Township Hose Company and Bethel Police, Riddle Paramedics, Pennsylvania State Police Media Barracks, Pagano Funeral Home and Luongo’s Towing.